The aim of the work was to investigate the resistance to cavitation erosion and sliding wear of sprayed HVOF coatings. M(Ni,Co)CrAlY and Cr3C2-NiCr based coatings were deposited using HVOF method onto stainless steel substrate grade AISI 304. As-sprayed coatings’ surface morphology was examined by SEM-EDS and profilometer methods. Cavitationerosion tests were conducted in distilled water with the use of vibratory rig and stationary specimen method. Cavitation erosion curves were plotted as well as cavitational wear mechanism was observed with the use of SEM microscope. Sliding wear tests were performed using the ball-on-disc tribotester with counter-specimen (ball) made of steel 100Cr6. Wearrates and coefficient of friction were computed. Normalized wear resistance with referenceto stainless steel reference sample AISI 304 was calculated. In addition, comparable analysis of wear resistance results was conducted. M(Ni,Co)CrAlY coating presented the highest cavitation erosion resistance, therefore Cr3C2-NiCr coating represented the highest sliding wear resistance of all tested materials. N. Jegadeeswaran, M.R. Ramesh, K.U. Bhat, Combating Corrosion Degradation of Turbine Materials Using HVOF Sprayed 25% (Cr3C2-25(Ni20Cr)), International Journal of Corrosion (2013), DOI:10.1155/2013/824659. J.R. Davis, Handbook of Thermal Spray Technology, ASM International, OH, USA, 2004. 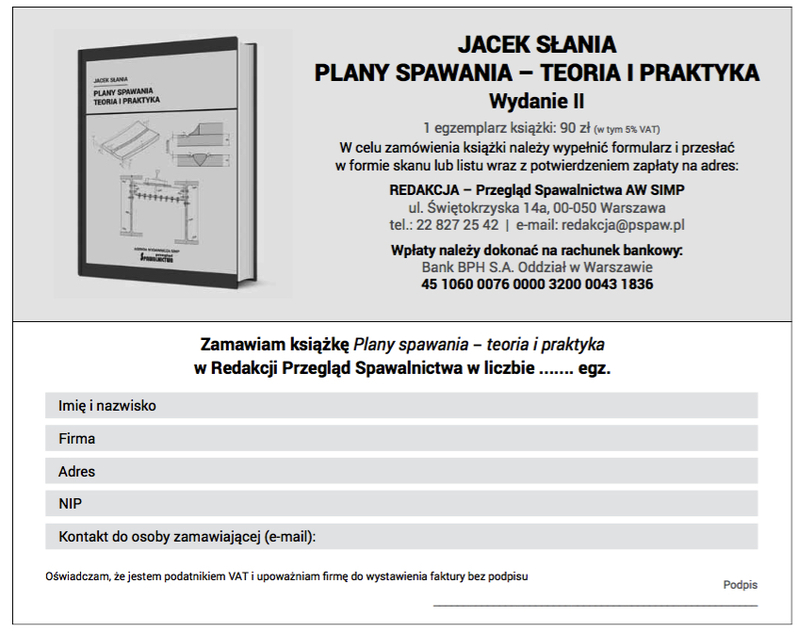 A. Klimpel, Napawanie i natryskiwanie cieplne: technologie, WNT, 2009. K. Szymański, A. Hernas, G. Moskal, H. Myalska, Thermally spray- ed coatings resistant to erosion and corrosion for power plant boilers - A review, Surface and Coatings Technology 268 (2015), 153-164, DOI:10.1016/j.surfcoat.2014.10.046. P. Zhang, J.H. Jiang, A.B. Ma, Z.H. Wang, Y.P. Wu, P.H. Lin, Cavitation Erosion Resistance of WC-Cr-Co and Cr3C2-NiCr Coatings Prepared by HVOF, Advanced Materials Research (2007), DOI:10.4028/www.scientific.net/ AMR.15-17.199. G. Taillon, F. Pougoum, S. Lavigne, L. Ton-That, R. Schulz, E. Bousser, S. Savoie, L. Martinu, J.-E. Klemberg-Sapieha, Cavitation erosion mechanisms in stainless steels and in composite metal-ceramic HVOF coatings, Wear. 364-365 (2016), 201-210, DOI:10.1016/j.wear.2016.07.015. P. Zhang, R. Lin Peng, X.-H. Li, S. Johansson, P. Zhang, R. Lin Peng, X.- H. Li, S. Johansson, Investigation of Element Effect on High-Temperature Oxidation of HVOF NiCoCrAlX Coatings, Coatings 8 (2018), 129, DOI:10.3390/coatings8040129. W. Zhou, K. Zhou, Y. Li, C. Deng, K. Zeng, High temperature wear performance of HVOF-sprayed Cr3C2-WC-NiCoCrMo and Cr3C2-NiCr hardmetal coatings, Applied Surface Science 416 (2017), 33-44, DOI:10.1016/j.ap- susc.2017.04.132. S. Saeidi, K.T. Voisey, D.G. McCartney, Mechanical Properties and Microstructure of VPS and HVOF CoNiCrAlY Coatings, J Therm Spray Tech. 20 (2011), 1231-1243, DOI:10.1007/s11666-011-9666-5. S. Lavigne, F. Pougoum, S. Savoie, L. Martinu, J.E. Klemberg-Sapieha, R. Schulz, Cavitation erosion behavior of HVOF CaviTec coatings, Wear. 386-387 (2017), 90-98, DOI:10.1016/j.wear.2017.06.003. S. Hong, Y. Wu, Q. Wang, G. Ying, G. Li, W. Gao, B. Wang, W. Guo, Microstructure and cavitation-silt erosion behavior of high-velocity oxygen-fuel (HVOF) sprayed Cr3C2-NiCr coating, Surface and Coatings Technology. 225 (2013), 85-91, DOI:10.1016/j.surfcoat.2013.03.020. M. Oksa, E. Turunen, T. Suhonen, T. Varis, S.-P. Hannula, M. Oksa, E. Turunen, T. Suhonen, T. Varis, S.-P. Hannula, Optimization and Characterization of High Velocity Oxy-fuel Sprayed Coatings: Techniques, Materials, and Applications, Coatings. 1 (2011), 17-52, DOI:10.3390/coatings1010017. M. Szala, T. Hejwowski, Cavitation Erosion Resistance and Wear Mechanism Model of Flame-Sprayed Al2O3-40%TiO2/NiMoAl Cermet Coatings, Coatings. 8 (2018) 254, DOI:10.3390/coatings8070254. L. Łatka, M. Szala, M. Michalak, P. Sokołowski, T. Pałka, Impact of atmospheric plasma spray parameters on cavitation erosion resistance of Al2O3-13%TiO2 coatings, Acta Physica Polonica A. w druku (2019). A. Kumar, J. Boy, R. Zatorski, L.D. Stephenson, Thermal spray and weld repair alloys for the repair of cavitation damage in turbines and pumps: A technical note, (2005) 177-182, http://link.springer.com/article/10.1361/ 10599630523737 (accessed June 12, 2013). M. Szkodo, Erozja kawitacyjna materiałów konstrukcyjnych metalowych, Wydawn. Politechniki Gdańskiej, 2008. M. Szala, Powłoki zwiększające odporność na erozję kawitacyjną elementów maszyn i urządzeń, Rozprawa doktorska, Politechnika Lubelska, Lublin, Polska, 2016. M. Szala, T.J. Hejwowski, Zwiększanie odporności kawitacyjnej stopów metali przez napawanie powłok, Welding Technology Review (2015), vol. 87 (9), 56-60. M. Walczak, D. Pieniak, M. Zwierzchowski, The tribological characteristics of SiC particle reinforced aluminium composites, Archives of Civil and Mechanical Engineering 15 (2015), 116-123, DOI:10.1016/j.acme. 2014.05.003. J.A. Cabral-Miramontes, C. Gaona-Tiburcio, F. Almeraya-Calderón, F.H. Estupiñan-Lopez, G.K. Pedraza-Basulto, C.A. Poblano-Salas, Parameter Studies on High-Velocity Oxy-Fuel Spraying of CoNiCrAlY Coatings Used in the Aeronautical Industry, International Journal of Corrosion (2014), DOI:10.1155/2014/703806. M. Xie, Y. Lin, P. Ke, S. Wang, S. Zhang, Z. Zhen, L. Ge, M. Xie, Y. Lin, P. Ke, S. Wang, S. Zhang, Z. Zhen, L. Ge, Influence of Process Parameters on High Velocity Oxy-Fuel Sprayed Cr3C2-25%NiCr Coatings, Coatings 7 (2017), 98, DOI:10.3390/coatings7070098. M. Szala, Application of computer image analysis software for determining incubation period of cavitation erosion – preliminary results, 15 (2017), 06003, DOI:10.1051/itmconf/20171506003. J. Chmiel, R. Jasionowski, D. Zasada, Cavitation Erosion and Corrosion of Pearlitic Gray Cast Iron in Non-Standardized Cavitation Conditions, Solid State Phenomena (2015), DOI:10.4028/www.scientific.net/SSP.225.19. based coatings, Adv. Sci. Technol. Res. J. 8 (2014), 36-42, DOI:10.12913/ 22998624.1091876.